Ian Nichols (left) and Brock Tinsley will host an AI-themed concert on March 2. 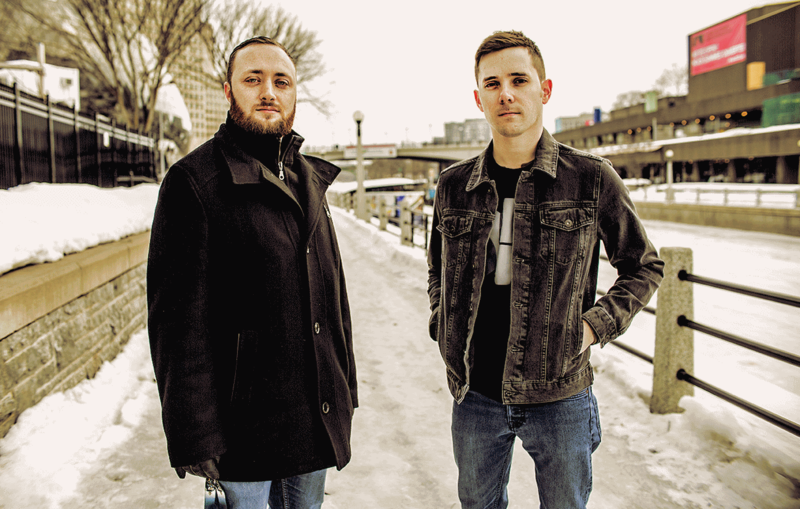 An Ottawa-based rock band will sing about artificial intelligence during a fund-raising concert for the Ingenium Foundation on March 2. The band – Double Experience – performs an array of songs with a focus on science and technology themes. The upcoming show is a song release party for their latest single, AI Freaks Me Out. Nichols says he and guitarist Brock Tinsley discussed the idea of a partnership with the Ingenium Foundation, and felt it was an ideal fit for Double Experience. Double Experience will perform at LIVE! On Elgin, located at 220 Elgin Street (above the Dunn’s restaurant). Advance tickets are now available online, and a limited number of tickets will be sold at the door for $10. A portion of all ticket sales will be donated to the Ingenium Foundation – a national, non-profit organization that supports programs and projects across Canada’s three national museums of science and innovation. Proceeds from this event will support STEAM (science, technology, engineering, arts, and math) learning programs at the Canada Science and Technology Museum. Nichols says that while he loved all of Ottawa’s museums, he definitely favoured the Canada Science and Technology Museum. In recent years, however, Nicols says he has watched things like comic books explode into mainstream culture more than ever. Attendees of the event on March 2 can expect to enjoy a full night of entertainment, says Nicols. Two other bands – Dube and F8-Bit – will also perform that night. Artificial intelligence will be the prevailing theme throughout the evening, and band members will interact with the audience to discuss their thoughts on AI – and why it freaks them out. Double Experience has performed hundreds of shows around the world, and is frequently heard on Rebel 101.7 in Ottawa. Watch the official video for The Pilot, a song about space travel and adventure.